UC Santa Cruz’s new bumper crop of academic chairs promises to do much to elevate research and discovery in a multitude of areas across campus, from advancing the fight against pediatric cancer to adding prestige and permanence to gender studies. Other chairs will help take current scholarship to a new level, such as helping science journalists increase their impact, and giving high-tech workers of the future an edge in their fight against hacking and data thievery. Chairs, established with funding from donors, are awarded to distinguished scholars and teachers to support teaching, research, and other services. Because being named to a chair is a prestigious award, chairs can attract highly sought-after faculty and academic candidates. 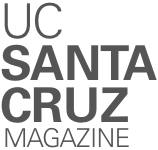 A total of 16 new chairs have been established at UC Santa Cruz since October 2013, when the campus launched the public phase of its first-ever comprehensive fundraising effort, the Campaign for UC Santa Cruz. Donors contributed more than $335 million in gifts to the university during the campaign, which closed on June 30. The total number of chairs at UC Santa Cruz climbed from 22 to 38. Here we’ve highlighted three of the new chairs and their inaugural holders, and included a list of all the chairs that have been established during the Campaign for UC Santa Cruz. A dozen of the new endowed chairs are designated “presidential” in recognition of matching funds provided by the UC Office of the President. Journalists and communicators have a great burden and responsibility. It is their job to improve the reach and impact of accurate information. Every year, the program offers intensive training for 10 students with scientific backgrounds who are transitioning into full-time communications work. “The chair will allow me to undertake a number of projects to help recruit top candidates, including candidates from diverse backgrounds, and support their training,” Check Hayden said. The funding will also allow Science Communication faculty to launch themselves into ambitious projects. The program was recently awarded a grant from the John S. and James L. Knight Foundation to explore new ways to use digital and social media more effectively to spread accurate and influential information about science. What is a chair, anyway? Chairs are funded by donors to advance scholarship in specific areas. They are awarded to distinguished scholars and teachers to support teaching, research, and other services. In some cases, the chair payout supports the salary of chair holders or their graduate researchers. A chair can also provide funds in support of a department, research unit, school, or college. Chairs can be named on behalf of the donor or someone they want to honor. They often specify the area of research or administrative expertise supported—at UC Santa Cruz, that includes everything from astrophysics to writing for television.The launch of this chair is a very good sign that gender studies are getting the recognition and respect they deserve, said renowned feminist studies professor Bettina Aptheker. The chair is also a great honor for a scholar of history with a national reputation for her talents as an instructor. Aptheker has taught one of the country’s largest and most influential introductory feminist studies courses for nearly three decades at UC Santa Cruz. The Veritas Presidential Chair in Storage and Security will help new generations of high-tech workers explore one of the most pressing questions in modern life: In an age when almost all information is digital, how do you protect your data, and how do you find the data you need? The presidential chair will give UC Santa Cruz students access to Git servers running software widely used in industry to efficiently record changes made to code projects. “Let’s say you made changes to fix something in the code, and something else broke,” Miller said. With the Git server, “you can go compare the new version to the old version to see where to look.” Students can collaborate on complex multi-person projects, work cooperatively, and know exactly what changes each of their team members has made to the code. The Git software doesn’t cost the university anything, “but you’ve got to run it on something,” Miller said. The endowment money will cover the cost of servers and solid-state drives to store student work, and will soon be expanded to provide storage for research project code as well. The Campaign for UC Santa Cruz helped the campus establish the following chairs. If an inaugural chair holder has been chosen, that information is also included.